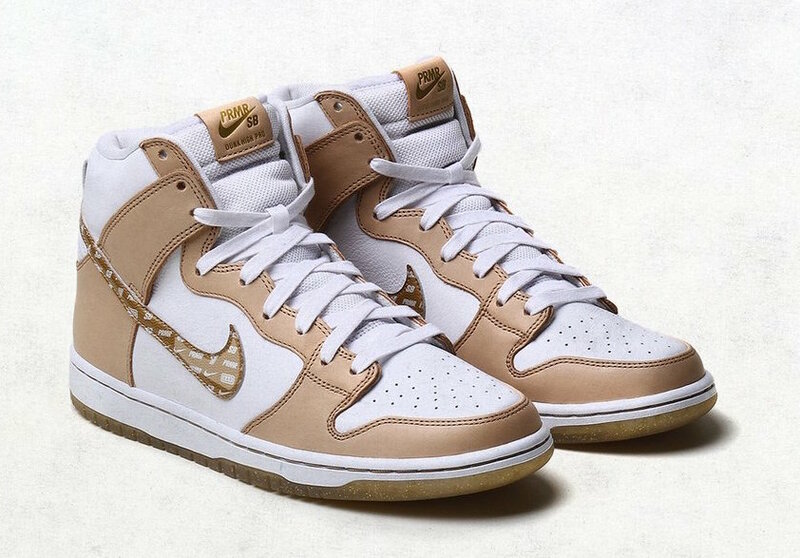 Michigan skate shop Premier has teamed up with Nike Skateboarding to release their latest collaboration, this time on the Dunk High silhouette. 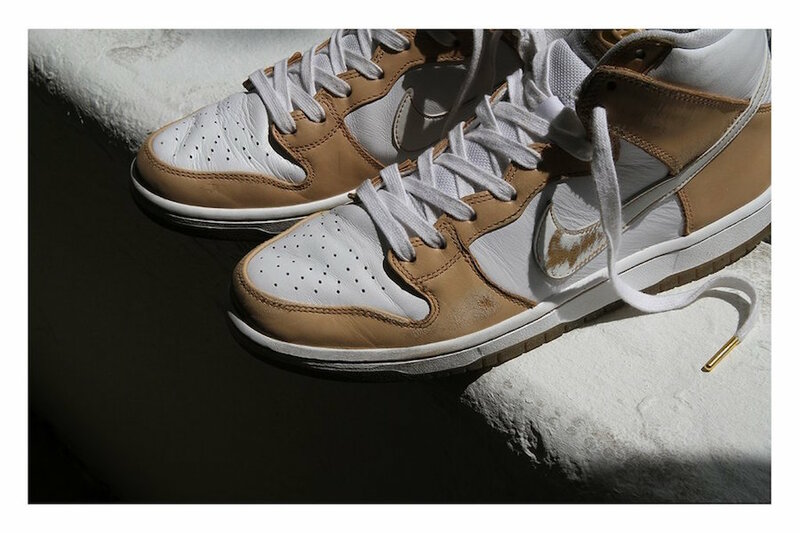 This Nike SB Dunk High features a White leather upper, with Tan leather overlays. Gold contrasting accents are used on the branded areas as well as the lace tips. Other notable details includes “Win Some” and “Lose Some” text on the shoe’s wings and ” In Odd We Trust” printed on the insoles for a gambling-type of theme. Look for the Premier x Nike SB Dunk High TRD to release on August 25th at select Nike SB retailers and Nike.com. The retail price tag is set at $120 USD. UPDATE: Following an exclusive release at Premier, the skate shop’s Nike SB Dunk High will see a wider release on August 25th via Nike SNKRS. While the store dropped them at a price tag of $120 USD, SNKRS currently has them listed at $110 USD. UPDATE: Premier will debut their Nike SB Dunk High collaboration dubbed, “Win Some / Lose Some” on Saturday, August 18th at 9AM EST in-store and the pop-up Bodega located in the alley next to Premier at 10 Weston St. A limited online release will go down at 12 Noon EST (USA orders only). Limited to one pair per customer, the shoes will be available in sizes 4-15. The retail price tag is set at $120 USD. Custom box, sticker pack and Gold coin are included with every pair sold through Premier, both in-store and online. No returns will be accepted on this shoe if they have been scratched. The Gold coin included will not take the paint off the swoosh.